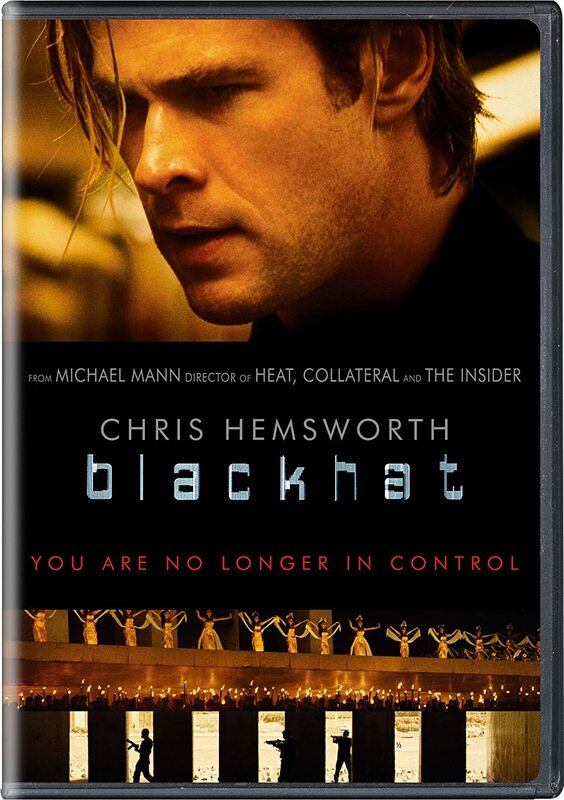 Blackhat is a cyber-thriller that takes you on a wild ride into identifying and bringing a notorious hacker to justice. In the Collector’s Edition players can also join Faith’s fight as part of the runner’s group in the city of Glass with temporary tattoos, or go behind-the-scenes to see more about the game’s creation through concept art and an exclusive lithograph. This 2015 release was written by Morgan Davis Foehl and Michael Mann. It was also directed by Mann. It is one of those movies where you’ll find a lot of things wrong with it, but overall, you come away thinking it’s okay. A major cyberhack that blows up a nuclear reactor forces the American and Chinese governments to put aside their mistrust of each other and work together to solve the crime. But this is a sophisticated hacker, who has written code that can only be solved by Chinese resident Chen Dawai (Leehom Wang) and American felon Nick Hathaway (Chris Hemsworth). Tang Wei, Viola Davis, and Holt McCallany are also cast in this drama. As for the things I had a problem with: 1. The opening graphic simulating the hack takes up way too much time. It could be whittled down to the time you see of it in the trailer. 2. The relationship between Hathaway and Chen Lien (Tang Wei) shows no prefix and is awkward as to how it played out. 3. Background music drowned out some of the dialogue. 4. Showing up at a nuclear blowout without protective gear is just plain dumb. 5. Unless I missed it, there wasn’t any reference to the Dark Web — where blackhats actually live. Even though there is often a lot more to discovering the identity of a hacker, what I liked about the movie is how it showed the lengths law enforcement would have to reach in order to investigate. A little more research could have gone into the screenplay, but overall, it was an okay film. I give it two stars out of five. This entry was posted in action, Chris Hemsworth, Drama, espionage, Michael Mann, movie review, movies, mystery suspense, political thriller, suspense thriller, techno thriller and tagged Blackhat, Chris Hemsworth, cyber crime, cyber security, cyber-thriller, cyberhack, drama, hacker, Holt McCallany, Tang Wei, Viola Davis, Wang Leehom by admin. Bookmark the permalink.